Well another Wednesday, we are in June now, don't the weeks go fast. On my desk this morning, amongst all the stuff I unloaded from the boat are all the beautiful ATC's I received from people. And can I say here, a very big apology if I said I would swap with you and haven't. I think I have more than I sent, but cannot work out which of those who sent them didn't get one from me. I think I am getting old and forgetful. Please email me if I have let you down and I will remedy it as soon as possible. So here are the first batch. The top left one from B-J, beautiful butterfly and lovely glittery effect. The card and the tag and the lovely envelope were all from JIll, wish I was as stylish as that lady. Bottom left, both ATC and card from my very special 'naughty' friend Margaret. They are absolutely super, and so is she. 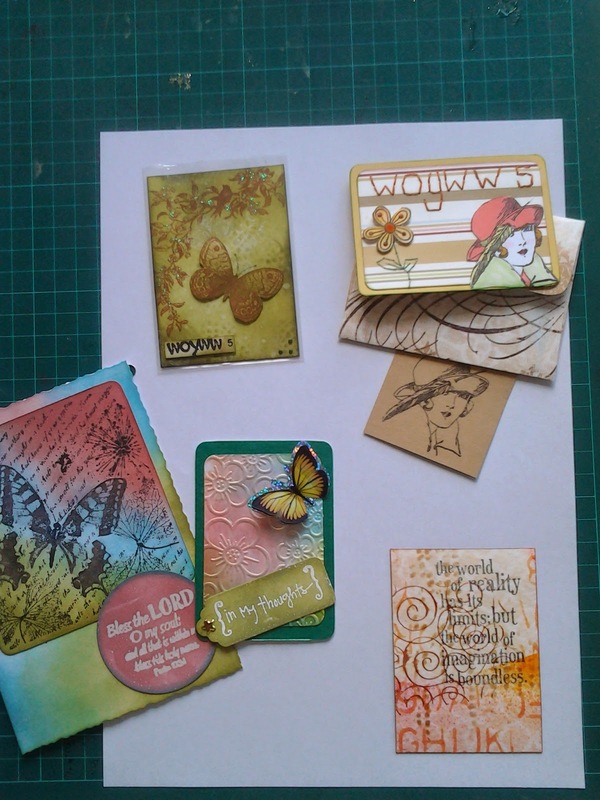 And then far right is the card from Nan of Froggy designs, lovely stamping in autumn colours with a great message. The next lot has not one, but two beauties from Chris and a smashing envelope as well, with a lovely teddybear on, her signature trade mark I believe. Then comes another beautiful lady from Cindy, so simple but efective. Bottom left is a celebratory party themed card from Helen, very cheerful. And last, on this page but no means least, is that very well executed Zentangle card from Caro. The variety of designs on that are brilliant. 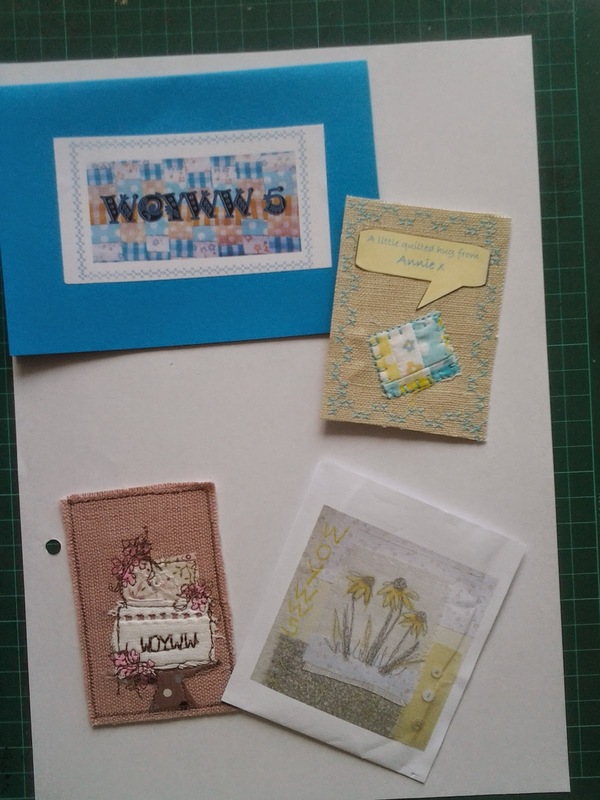 Two beautifully stitched ATC's, the top one, with pretty envelope, from Annie, Wispso, with such neat stitching. And the one at the bottom is from Jo, Twiglet' with some more beautifully executed needlework and a very pretty slip cover as well. Such lovely things, I feel so blessed by all your generosity, I'm going to put them all in a scap book so that I can't keep them clean and protected and look at them again and again. 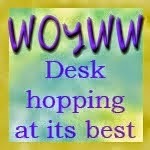 Well I have burbbled on for long enough, thank you for visiting and I am off to see if the Lady Julia has returned tanned and rested from her hols in the sun and to visit some other desks on display this week.. Morning Chris. 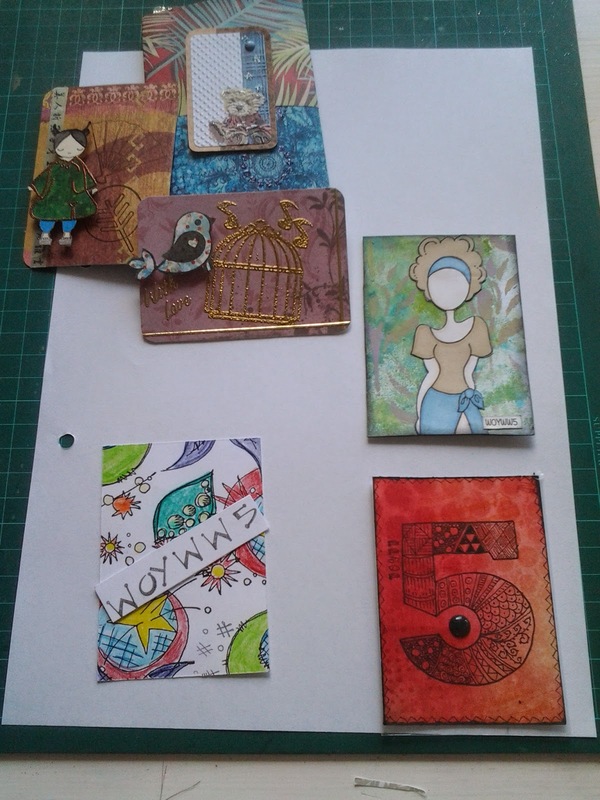 Gorgeous ATCs - haven't we all had fun with them? Naughty??? I don't know what you can possibly mean! I'm not naughty.... well, only sometimes. The flowers look great in the kitchen diner. Thank you!!! Hi Chris lovely ATCs. Don't know if you've heard, Julia has been taken ill so there's no numbers today. 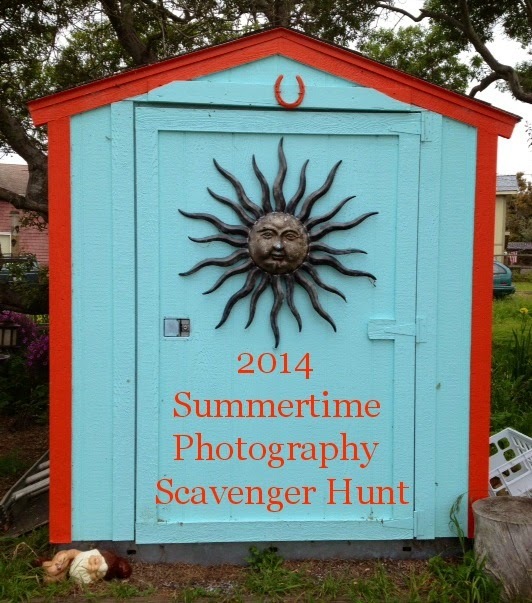 Such a delightful collection of projects. Love those butterflies on the vivid background. Keep smiling and creating.